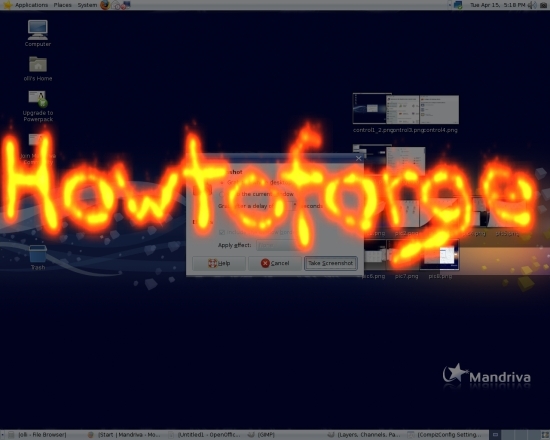 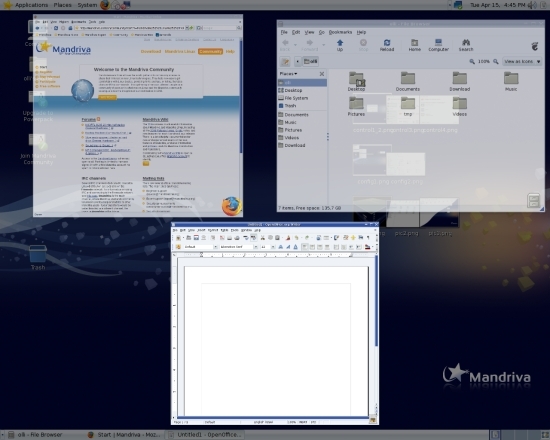 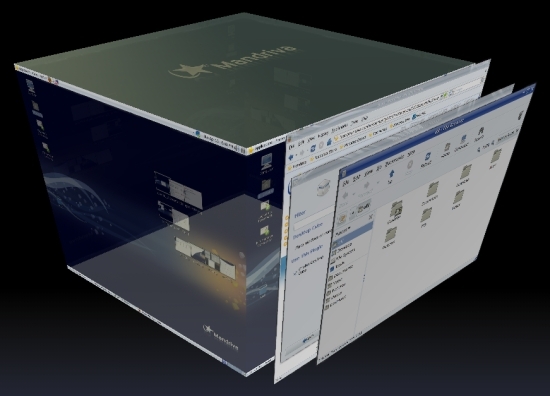 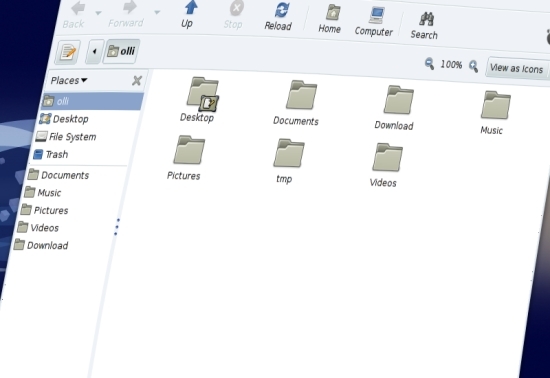 This document describes how to enable and configure Compiz Fusion on a Mandriva One 2008.1 Spring GNOME desktop with an NVIDIA graphics card. 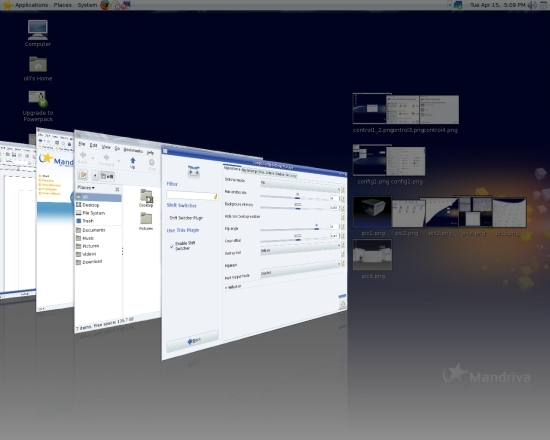 When the live/install media is booting you’ll be asked if you want to enable 3D desktop effects. 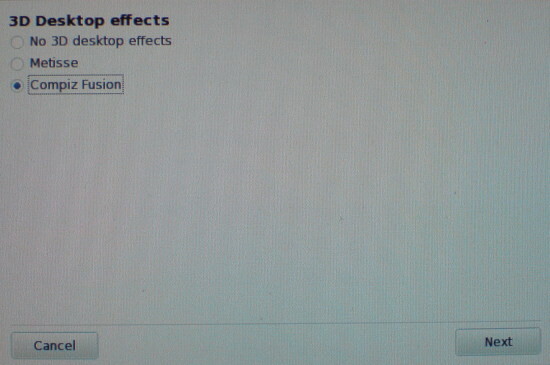 Choose “Compiz Fusion” and proceed with the boot process and the following installation. 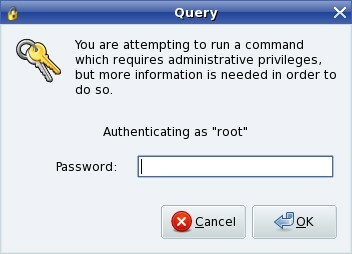 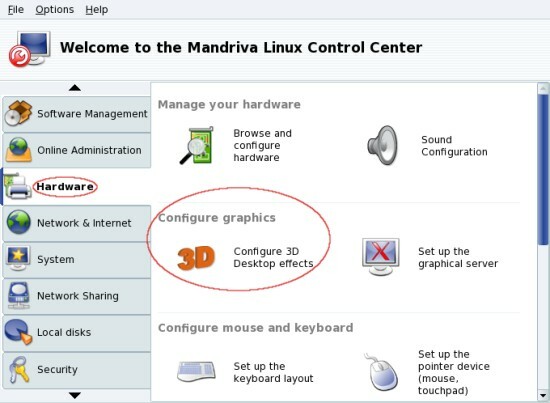 If you have already set up your system, you can enable the desktop effects within the “Mandriva Linux Control Center” – it’s available in the upper GNOME panel and in the GNOME menu. 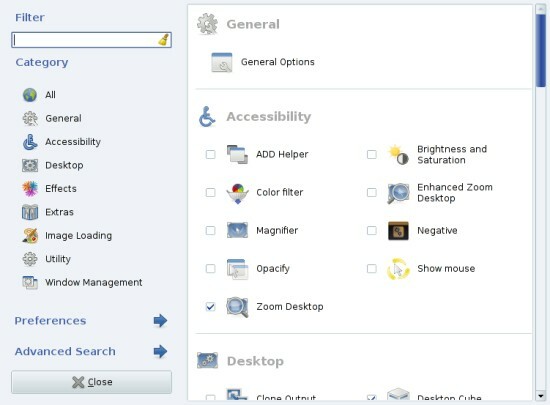 Now switch to the “Hardware”-tab and click on “Configure graphics”. 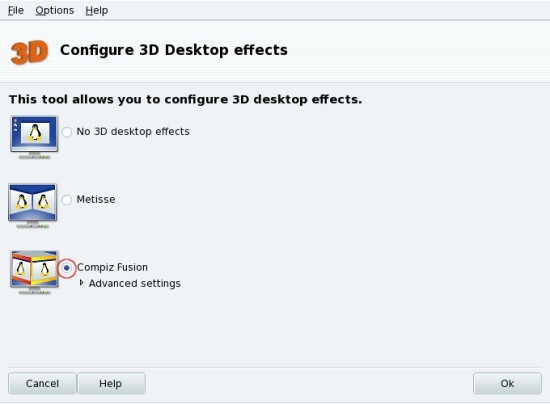 Mark the radio-button next to “Compiz Fusion” and click on “OK” to apply the settings. 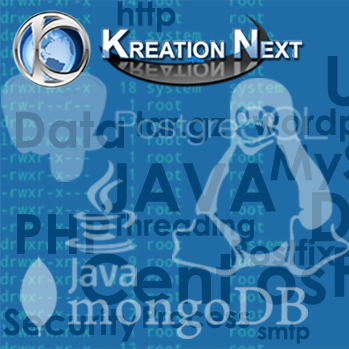 Install the following packages to get a lot of additional plugins. 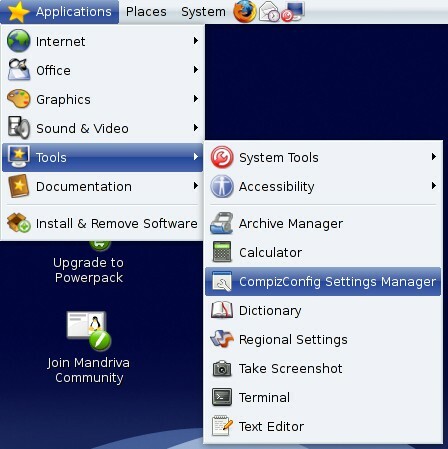 The compiz configurator is available in the GNOME applications menu. 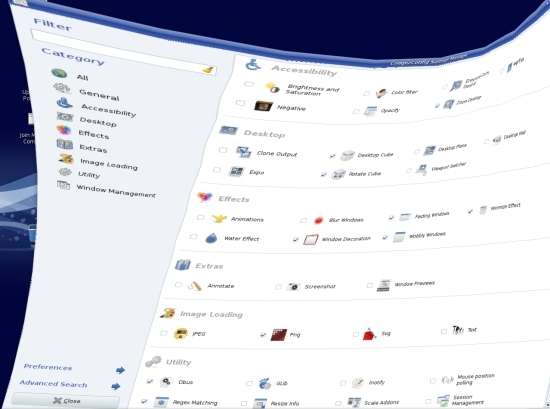 As you can see there are a lot of plugins available – and each plugin has its own options/settings. 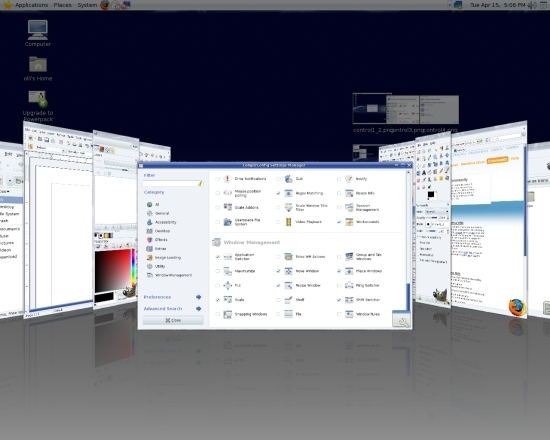 Move your mouse to the top right corner to see all open windows side by side – click on a window to focus it. 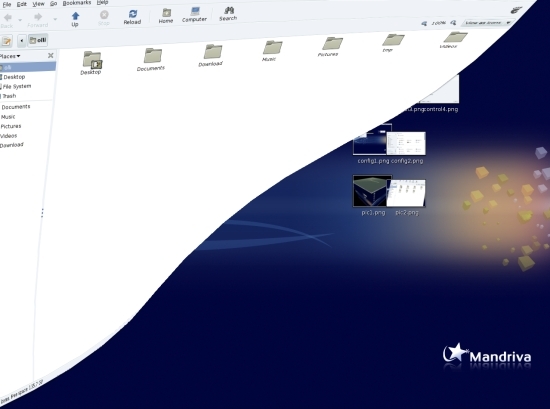 … use the UP ARROW or DOWN ARROW to switch the windows.